Open since 2015, Oshi Casino mostly focuses on the recent massive trend of Bitcoin, although you can both deposit and withdraw in other currencies such as US dollars, Canadian dollars, and Euros, as well as many others. The casino is run on a SoftSwiss gaming platform and has a Japanese theme - although only in name and background it seems. The huge amount of games, very fast payout process, and instant play options make it a big contender in the online casino world, especially with its niche in Bitcoin, which won it the LCB Best Bitcoin Casino in 2017. Gaming is only via internet connection on a desktop or laptop computer, but there are still hundreds of options to choose from when it comes to game options for players. There are all the classic games you would expect of an online casino, like baccarat, blackjack, poker, roulette, and of course slots, of which there are around 2000 to choose from. Gaming is pretty straight forwards and easy to use, and you can use the filter on the left hand side to sort by game type, provider, and character, plus others. The classic table games like roulette, baccarat, and blackjack come in live versions for a real-time experience. If you’re looking for bonus contributions, you can search this using the filter for 5%, 20%, 25%, and 100% bonus contributions. Slots have two of their own filters so you can choose by reel number and free spins. You can pick the game that’s most to your liking, or find a completely new one that ticks all the boxes. 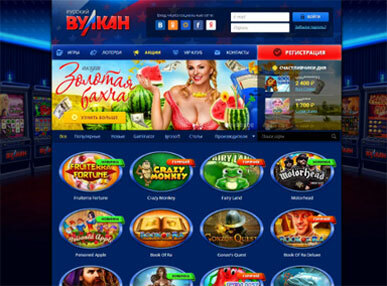 It’s a streamlined site that attracts both new and regular online casino players. As always, you can expect a welcome bonus. With Oshio Casino, you can build your own bonus that can earn you up to 150% match or 500 money free spins. There is then a reload bonus available every 48 hours for a match percentage up to 40% and upto 80 free spins. A big reason to celebrate Oshi Casino is its “Max Bet Protection”, something that has fans and members singing its praises. Players can rest easy knowing that they cannot bet more than the maximum in order to be in with a chance of winning their bonus. There’s no chance you will accidentally disqualify yourself, something that happens all too often on other sites where the bonus rules are not always super clear. Kudos, Oshi Casino. Bitcoin lovers flock to this site, although Bitcoin is not an accepted payment for every game, which all rests on the game provider, not Oshi Casino itself. For these games, using Euros is the most common alternative, which you cannot then convert to Bitcoin. Despite this, there are still a number of ways to cash out, and payment time is one of the fastest out there. You can expect your Bitcoin cash out in a matter of hours, not days. Other payment options are available for sites like eWallet as well as regular credit and debit payments. While these aren’t quite as fast as the Bitcoin payouts, you’ll still be pretty impressed with the speed. Aside from Bitcoin and Euros, accepted currencies include Australian dollars, US dollars, Canadian dollars, Chinese yuan, Norwegian kroner, Russian rubles, and Swedish kronor. Oshi Casino has hit the ground running with this clever niche in South African online casinos, and players are certainly loving it. Branching out into other currencies means that the net of player types stretches far and wide. You’ll find all the classic and modern games available online, there is online customer support, and payments are incredibly fast, especially with Bitcoin withdrawals. One to watch.